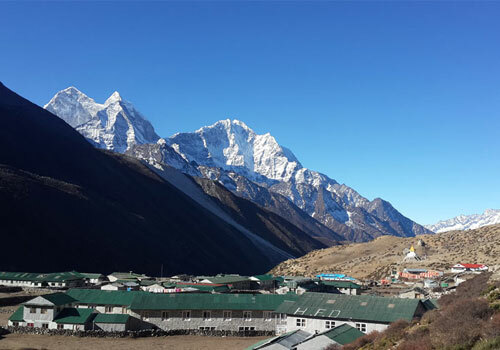 Everest Base Camp Trek – 14 day, highlights Mount Everest which is the glory of the Himalayas; it is a unique and unforgettable adventure of a lifetime. The view of the “top of the world” is almost like a piece of heaven on earth. We hope you will forget all your problems while on this trek and leave Nepal as a new person. 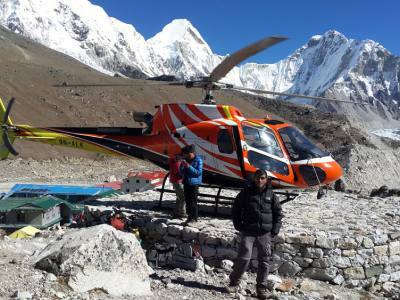 Everest Base Camp Trek is one of the most popular trekking areas in Nepal. 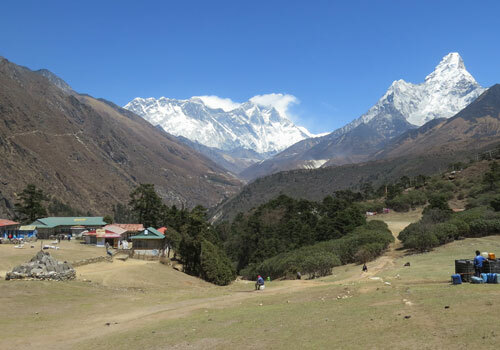 Everest and the Khumbu Region is home to the world’s highest peaks, Mt. 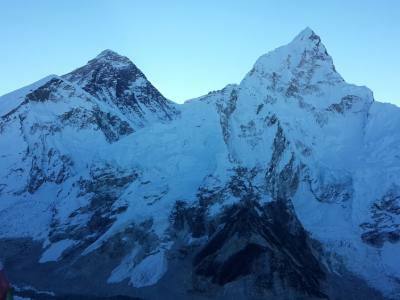 Everest, at an altitude of 8,848m (29,029ft), Lohtse (8,516m), Makalu (8,463m) and Cho-oyu (8,201m), Ama Dablam, Nuptse, Tawache, ThemSerku and many more incredible mountains. 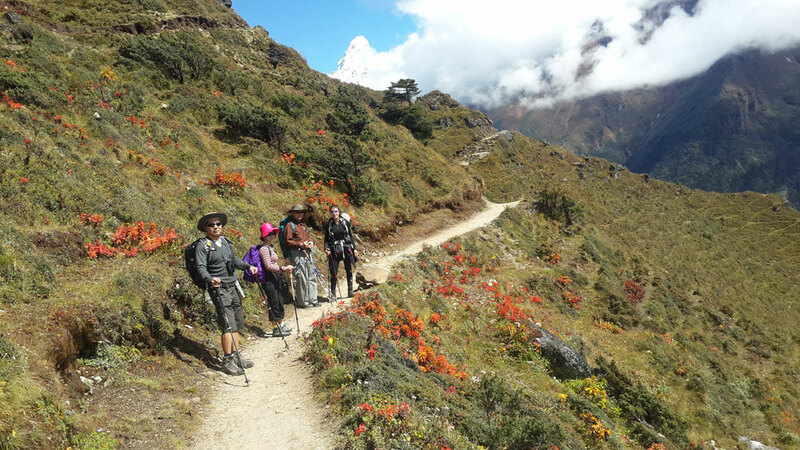 Our experienced guides will point out each mountain and tell you the name and altitude. They will take good care of you as well as enlighten you with interesting information regarding the natural environment, temples, people and villages. 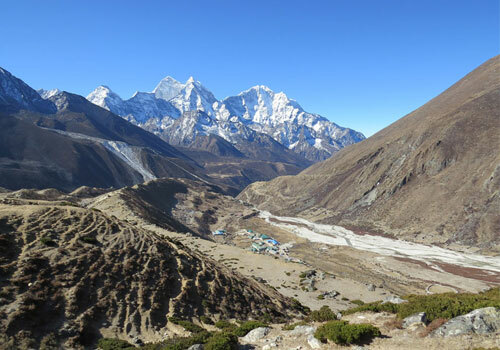 Everest Base Camp Trek is in the Sagarmatha National Park, the highest National Park in the world. UNESCO declared it a world heritage site in 1979. View of the top of the world Mt. Everest 8848m. Regional ecosystem rich in flora and fauna diversity. Mt. 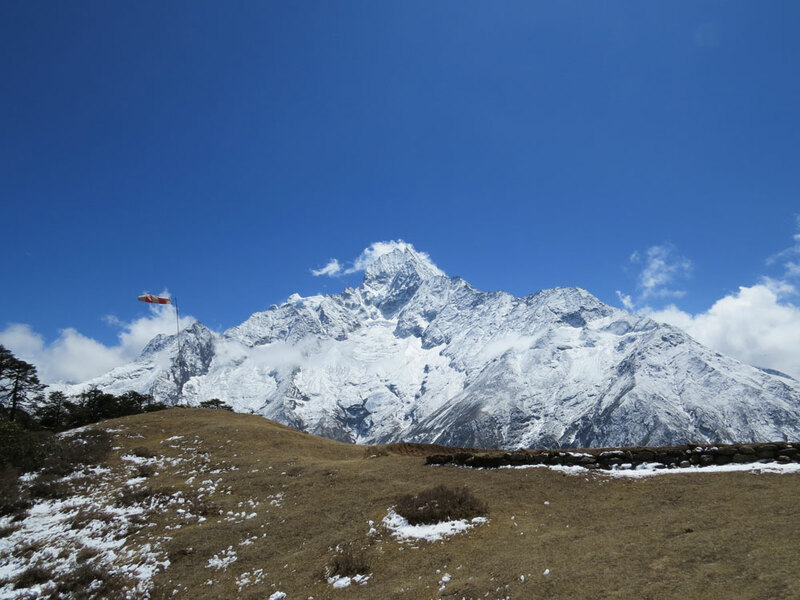 Everest Base Camp, Kala Patthar and Namche Bazaar. 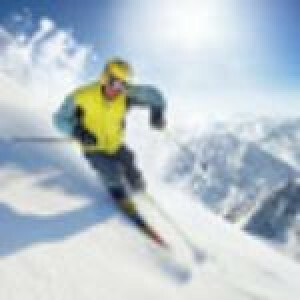 Highest hotels in the world. The home of snow leopard, musk deer, Himalayan monal pheasant and many more. Unique Sherpa culture and monasteries. Day 01:Arrival at Tribhuvan International Airport in Kathmandu (1,350m/4,428ft). 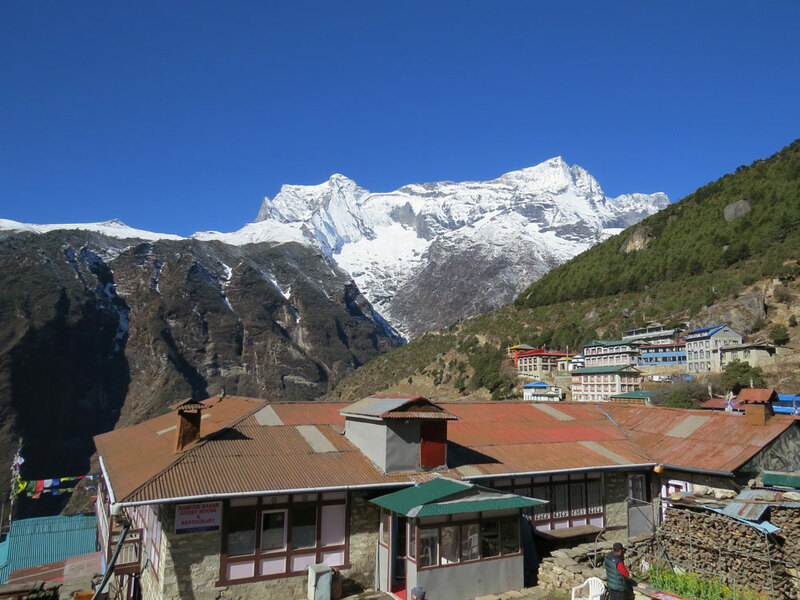 Day 04:Acclimatization Day - Namche Bazaar: (3,440m/11,284ft). Day 13:Fly back to Kathmandu in the morning. Airport / Hotel pick up & drop off by private tourist vehicle. Meals: Breakfast in Kathmandu and Pokhara. All meals during the trek. Hotels in Kathmandu and Pokhara with breakfast. Local, licensed, proficient English speaking guide. Food, accommodation, salary, transportation, insurance, equipment and medicine for our staff. 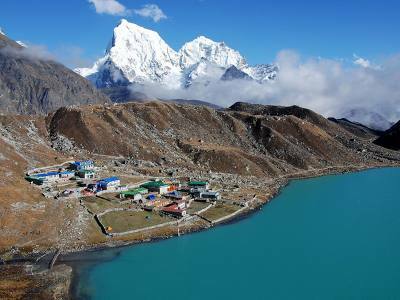 Sagarmatha National Park permits ACAP and TIMS permit for trekking. Down Jacket and sleeping bag by Tourist Saga Tourism (which must be returned after the trek). Complimentary snacks (cookies, fresh fruits) on the trek. Farewell dinner in typical Nepali Restaurant with cultural dance. All Nepali government taxes, vat, tourist service charges. Note: You can spend as much time as you like in the mountains. The above itinerary is a guideline. If you want to stay longer, we can be flexible and arrange that for you. Please also note that after the formal start your trip we cannot refund any amount. 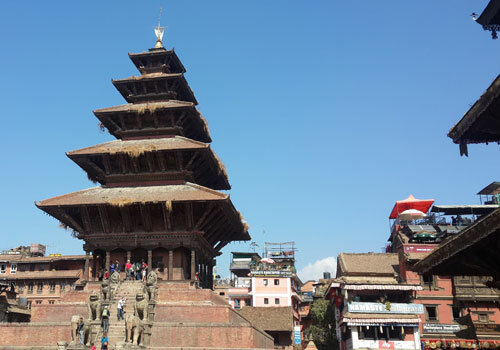 Nepal entry visa; you can obtain a visa easily upon your arrival at Tribhuwan International Airport in Kathmandu. See above for information. Any other expenses which are not mentioned on ‘Cost Includes' section. Arrival at Tribhuvan International Airport in Kathmandu (1,350m/4,428ft). Please note that all distances and time estimates in this itinerary are approximate. All mountain viewing is dependent on weather conditions. A hearty welcome to Kathmandu, the Nepalese capital and cultural hub. We’ll be waiting with a warm greeting at the airport and will transfer you to your hotel by private tourist car. In the early evening, you will be introduced to your guide and briefed about the trek. Altitude: 2,800m/9,184ft (Lukla) & 2,652m/8,698ft (Phakding). Walking Distance: 8km (3-4 hours) Flight time: 30 min. Your big moment is finally here and we wish you good luck with each step to view the highest mountain in the world. 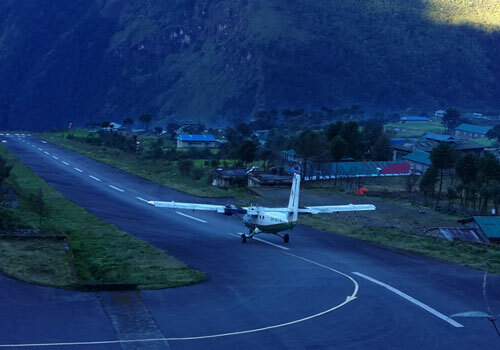 After a short morning flight from Kathmandu to Lukla, you will be introduced to your porters. These men are the unsung heroes of Nepal. They will carry your luggage all the way to Base Camp and back. The walk from Lukla to Phakding is easy. We will probably stop for our first mountain lunch in Chaurikharka village depending on our hunger and time of our arrival in Lukla. We will descend towards Dudh Koshi Ghat, 2,530 (8,300ft). The trail follows the bank of the Dudh Koshi River until we arrive at our overnight village, Phakding (2,652m/8,700ft). Enjoy your free time in Phakding, a very popular shopping village. Today is the day of suspension bridges along the Dudh koshi River. After breakfast, we will hit the trekking road to Namche Bazaar, the biggest Sherpa Village in Nepal. Our trail will take us over the Dudh Kkoshi River via a long suspension bridge and then through a beautiful pine forest to Monjo. Soon thereafter, we will approach the entrance to Sagarmatha National Park (the world’s highest National Park) for a brief permit check. Then we will descend to the Dudh Kosi River (Spotting Mani Stones along the way) on route to Jorsale. We will stop for a well deserved lunch here, before we start the uphill to Namche Bazaar. Our path along the riverbank is flanked by two crossings, one of which is the Hillary Suspension Bridge. It is quite a steep uphill to Namche Bazaar where we will stay overnight. 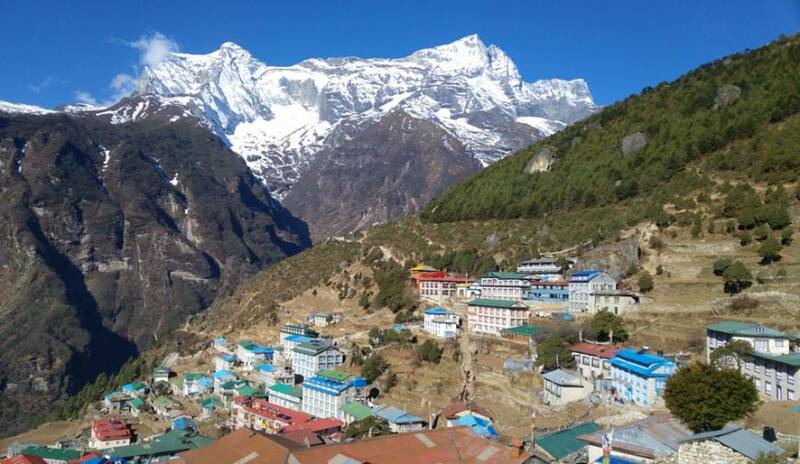 Acclimatization Day - Namche Bazaar: (3,440m/11,284ft). Today will be spent resting and allowing our bodies to acclimatize to the altitude. Namche Bazaar is well known as the gateway to Mt. 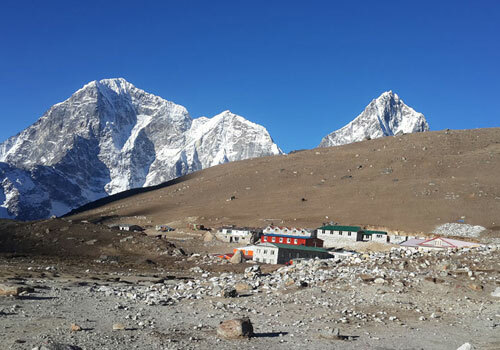 Everest and is the main village of the Khumbu region. You will find Government Offices, ATMs, Internet cafes, shops, restaurants, and a colorful market. 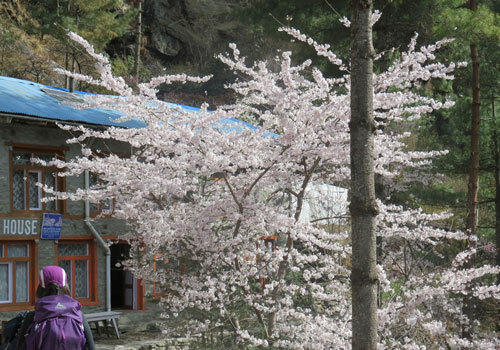 Our guides can take you to explore the real charm of Namche Bazaar. 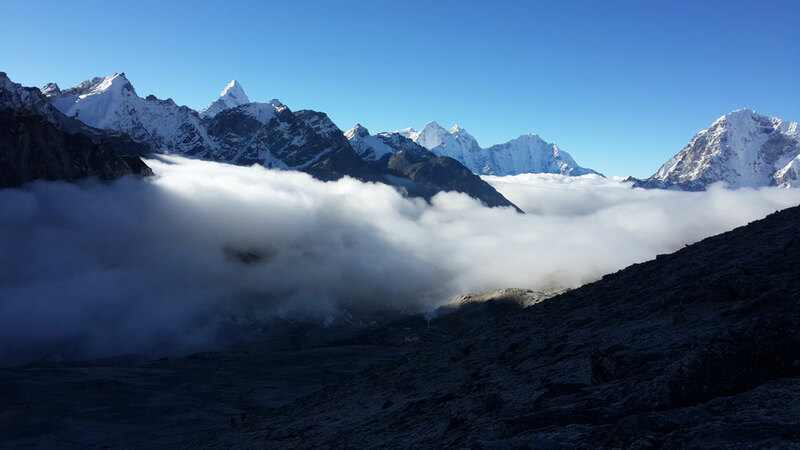 Hiking to Sagarmatha National Park rewards trekkers with a sunrise view of Mount Everest, Lhotse, Nuptse, Ama Dablam, Thamserku and Kongde. 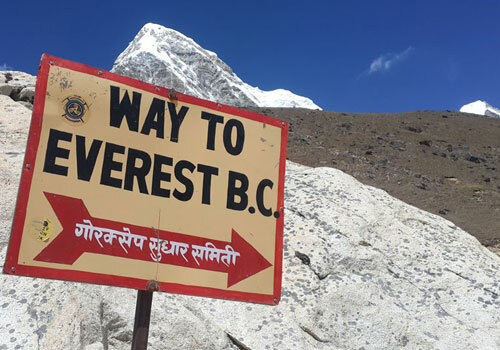 There is an optional two hour trip to the Everest View Point. 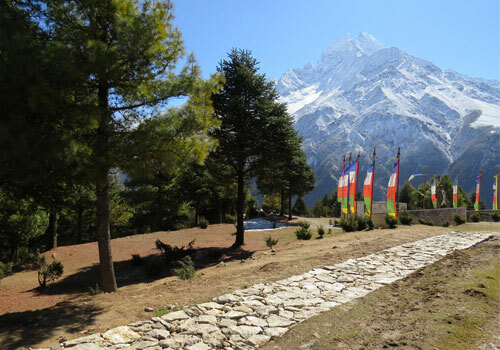 From here, we can decide if we want to walk another three hours uphill to explore the beautiful Khumjung village (Mt. Hillary School) which will help with acclimatization. 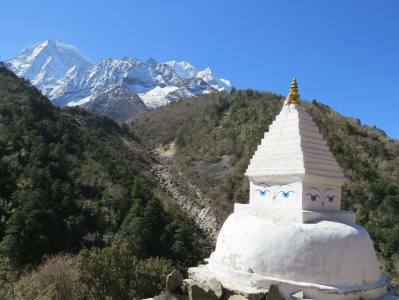 For those of you who do not want to walk to the Everest View Point and to the Khumjung Village, you will have time to explore Namche Bazaar and can check out the Sherpa Museum for an overview of the Sherpa culture. Overnight in Namche Bazaar. After breakfast, we will start another day of trekking towards Everest Base Camp. 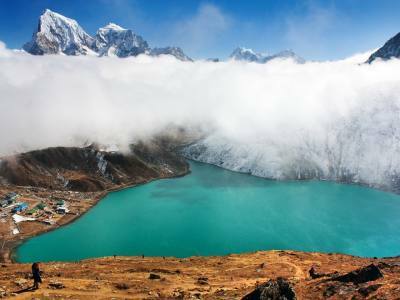 Breathtaking views of the Himalayas - Everest, Nuptse, Lhotse, Ama Dablam, Thamserku and Kwangde are some of the highlights that can be observed. A short drop takes us to the riverside where we will stop for lunch. The trail then starts upwards through the forest pass. Brace your legs for a continual uphill trek at this point, alternating between a gradual grade and some seriously steep grade! 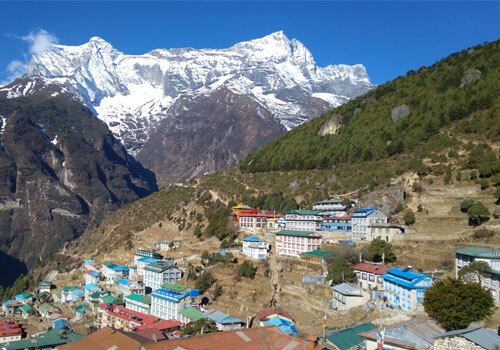 Our destination, Tengboche, is known as one of the most beautiful places in the Everest region. 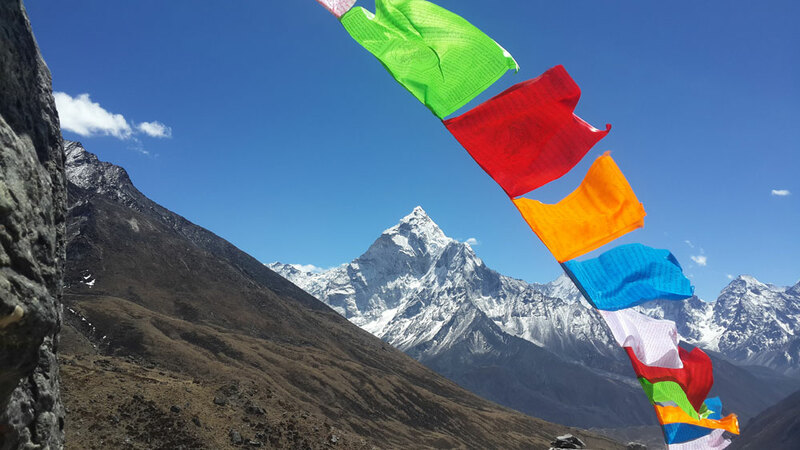 Its views including Everest, Ama Dablam and Kantaga are legendary. 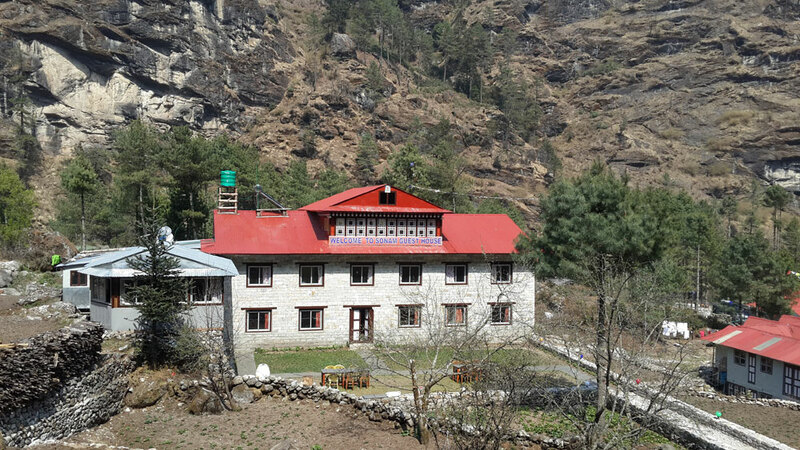 We’ll visit the Tengboche monastery, one of the largest in the Khumbu region. Today our trek continues with a walk through the rhododendron forest to Deboche followed by a wooden bridge over the raging Imja Khol River. We’ll pass the valley wall and then climb up to the Sherpa village of Pangboche. 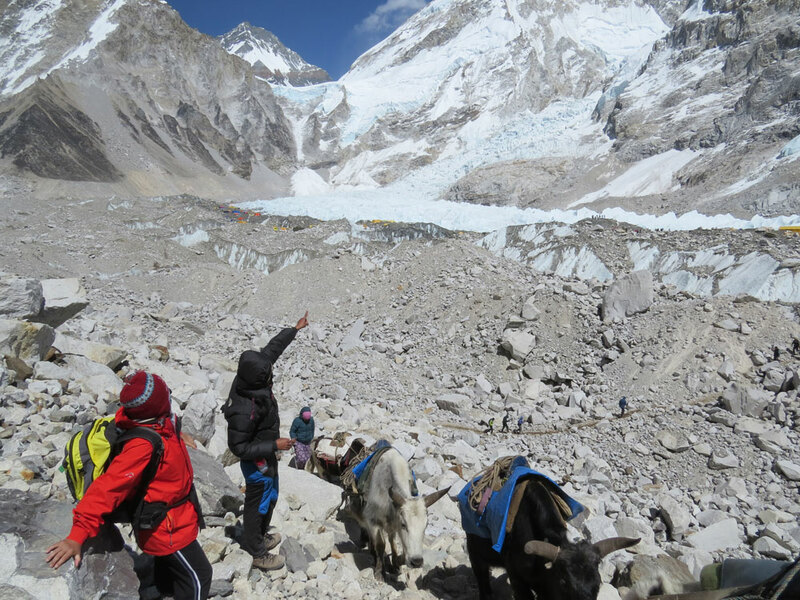 This will be a unique opportunity to observe this traditional settlement of Sherpas. We continue along the trail to Somera, where we will enjoy lunch with incredible views. Our afternoon trek will be a difficult one, as the landscape gives way to dry, deserted mountains as we hike towards Dingboche. Today is our chance to rest before we continue with the last leg of our adventure. 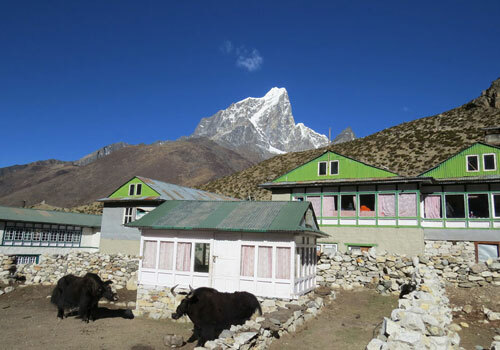 This will be a full day of exploring Dingboche and the surrounding valleys of Chhukung and lmja. We will take a short walk uphill to help with acclimatization. You are free to take an optional trek to the valley, but taking it easy is the most important thing today and remember to drink lots of water. As we leave Dingboche, we will experience a steep uphill climb. After a few hours, we will reach an easy flat trail with an incredible view. We will stop at Dangal for a lunch break. The trail then gets steeper once again to the top of a high hill. Here we will have time to look at the memorial stupas dedicated to all the climbers and trekkers who lost their lives to Everest over the years. The next part of our adventure brings us over craggy mountain terrain to Lobuche, a small settlement with amazing views of Mt. Loubuche, Mt. Pumari and Nuptse. Here we can rest and prepare ourselves for our destination on this trek. Finally our dream comes true!! 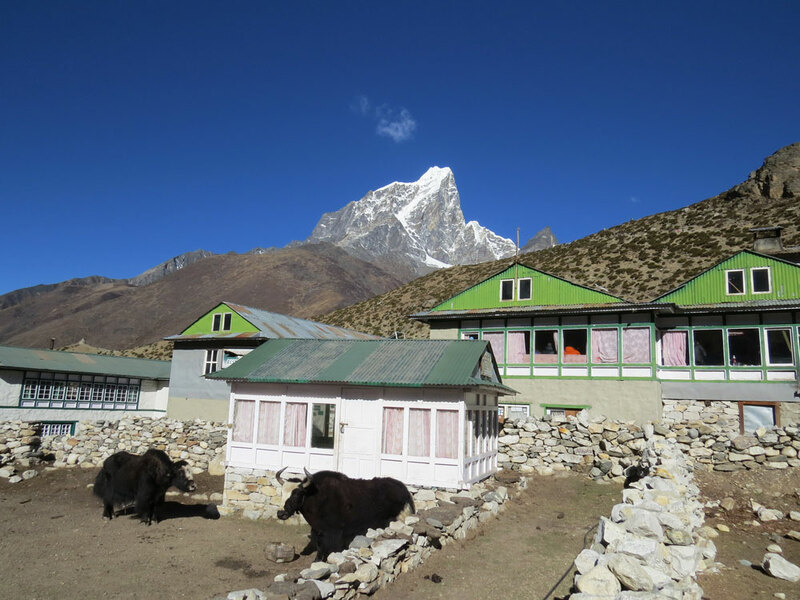 Our big and long day starts early in the morning with an easy trek from Lobuche to Gorek Shep. 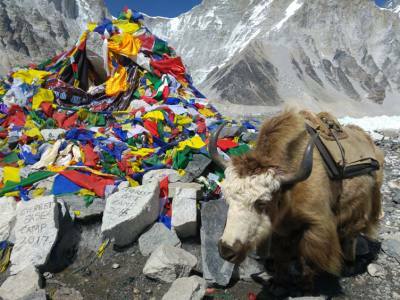 Gorek Shep, situated at an altitude of more than 5,000m, is the last settlement in this trek. We will stop for a lunch break here. After lunch and a rest, we will trek slowly to our destination. 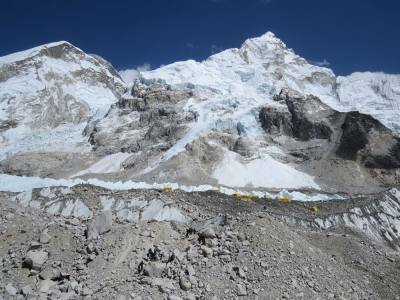 We will approach the Khumbu Glacier and icefall, located on the slopes of Mt. Everest. Our goal will be fulfilled as soon as we reach Base Camp. During the spring climbing season, you might meet climbers who will attempt to scale the summit of Mt. Everest. Just before sunset, we will return and walk all the way back to Gorekshep for some much needed rest and relaxation. 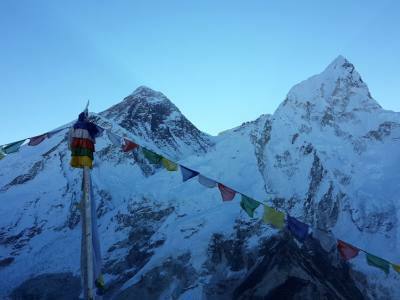 If you would like to walk up Kala Patthar to view the sunset please let us know. Weather permitting, we can arrange for the hike. 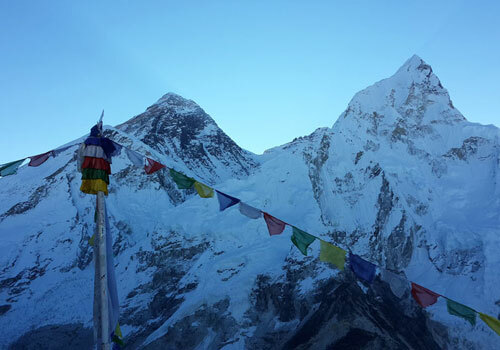 We prepare for an early morning trek to Kala Patthar (which means black rock), amid pre-dawn darkness and super cold temperatures (5°C to -14° C) for an amazing and glorious view of Mt. Everest. The day’s first light will illuminate spectacular views of Nuptse, Pumary and Lhotse mountains. This is the central attraction of your journey. 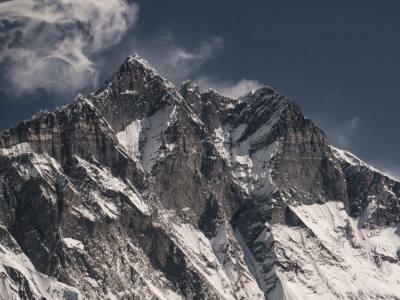 You will have time to capture these amazing moments of Everest and its neighboring peaks. 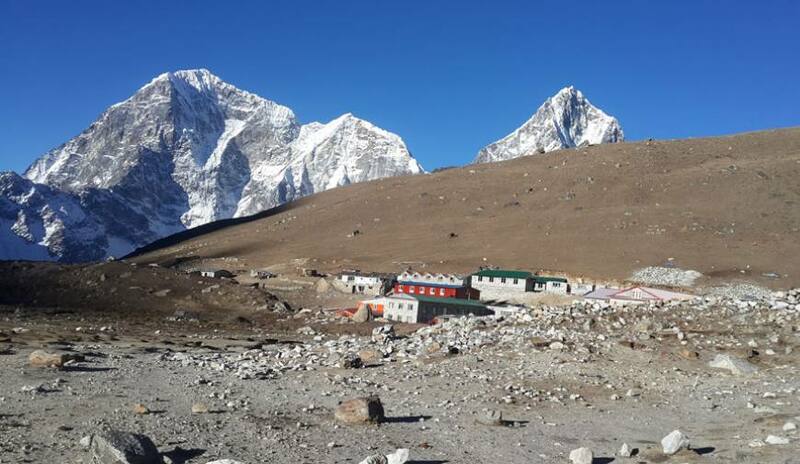 After the sunrise, we will return to Gorek Shep and enjoy a lovely warm breakfast before we start our trek back, slowly but surely to Pheriche. Overnight in Pheriche. The walk from Pheriche to Namche is a long but easy walk. Most of today’s trek will be heading down, but we will need to climb before we reach Tengboche. From Tengboche, the trail will go all the way down to the river where we will cross a bridge and reach Phunke Tenga. From here we will walk uphill for about an hour to the Everest highway. Then we will walk back, nice and easy, to Namche Bazaar. Overnight in Namche Bazaar for a good rest and relaxation. After breakfast, we will trek towards the Hillary Suspension Bridge and pass through several local villages. As the trail descends steeply, you will notice more greenery and forests along the Dudh Koshi River. From Phakding, the trail ascends slightly to Lukla. Finally, we made it! Well done to your great achievement and teamwork. You have accomplished a physical feat of which others may only dream. Tonight, is our last night in a teahouse and in the mountains. We will organize a farewell dinner party for our trekking crew. Fly back to Kathmandu in the morning. Altitude: 1,350m/4,428ft Flight time: 30 min morning. 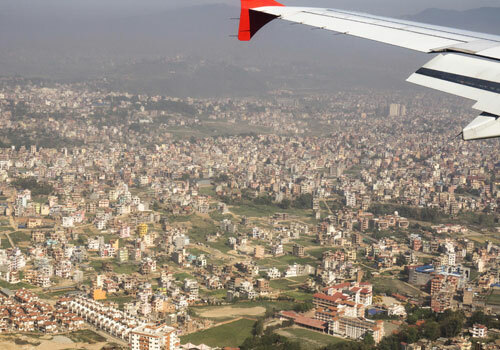 After an early morning flight to Kathmandu, Zam Zam Treking will take you to your hotel where you can enjoy a hot shower, a rest and some afternoon souvenir shopping. 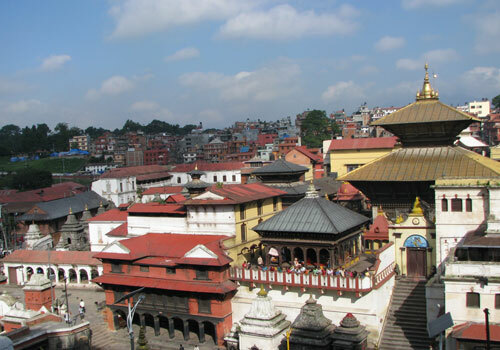 If you want to explore any other areas of Kathmandu, you can arrange it with your guide. There will be a farewell dinner to celebrate the successful completion of our journey. Overnight in Kathmandu. Your adventure in Nepal comes to an end today! We wish you all the best!! We can exchange emails and photos with travel companions and Zam Zam Trekking P. LTD. A representative from Zam Zam Trekking will take you to the airport approximately 3 hours before your scheduled flight. A friend and I did EBC about 3 years ago with Dinesh and his crew. It was amazing experience and one I will remember for the rest of my life. It was made truly special by our guide Dinesh and the person I now call my friend. He is the most caring, trustworthy, safety conscience individual I have met. He’s knowledge of Nepals' history made the trek engaging and gave me an experience that I had not expected. He’s organization was excellent and along the way, we stayed at lovely tea houses that it seemed Dinesh was somehow related to which resulted in us being treated like family as well. The trekking never seemed rushed and we were able to get to EBC in the allotted time. He would start each morning with a plan on where we would be going, then at night he would review the day and explain the plan for the following day. 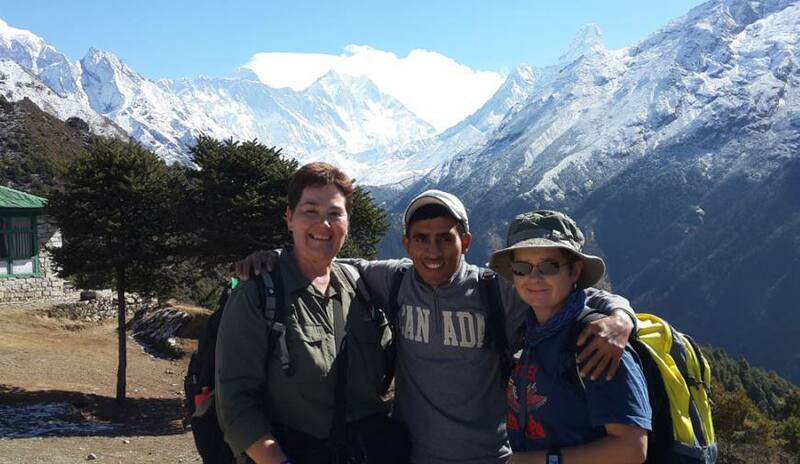 We never at any time felt concern for our safety, as we learned that Dinesh had done the trek hundreds of times. You are most welcome to create your own itinerary. Please note that, if possible, we suggest that you plan one or two extra days in your trip.